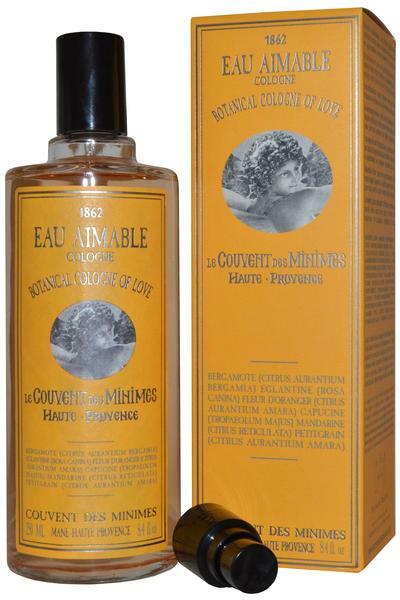 Le Couvent des Minimes Eau Aimable Botanical Cologne of Love is a citrus and white floral fragrance for both men and women. Classed as a sweet, aromatic, soapy and woody scent. Top notes: Orange Blossom and Bergamot. Heart notes: Mandarin Orange and Wild Rose. Base notes: Nasturcia and Petitgrain.